Did you ever wish you could be two places at once? Well, maybe you can't, but at least your Instagram Posts can! 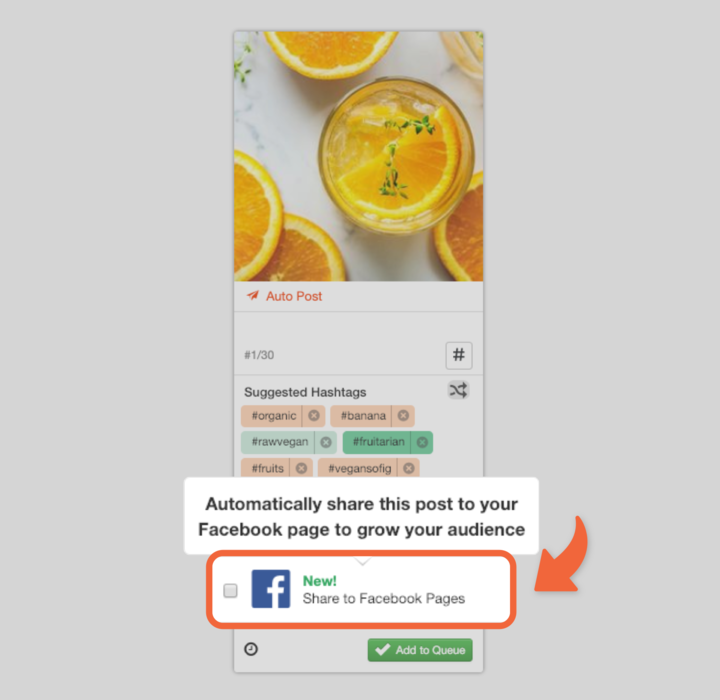 When using Auto Post with Tailwind for Instagram, you can schedule images to also publish to your Facebook page. Please note that Facebook cross-posting will work for single-photo posts scheduled with Auto Post only. 1. Create your draft post in Tailwind as usual and set the posting method to Auto Post. 2. 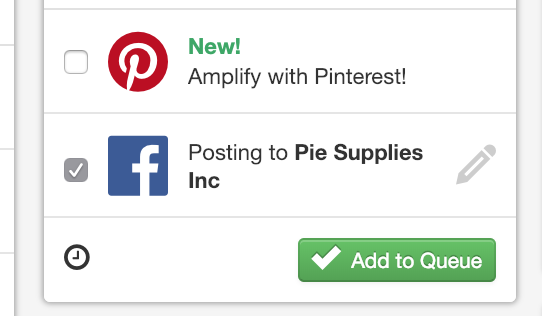 Click on the new Share to Facebook Pages box. 3. 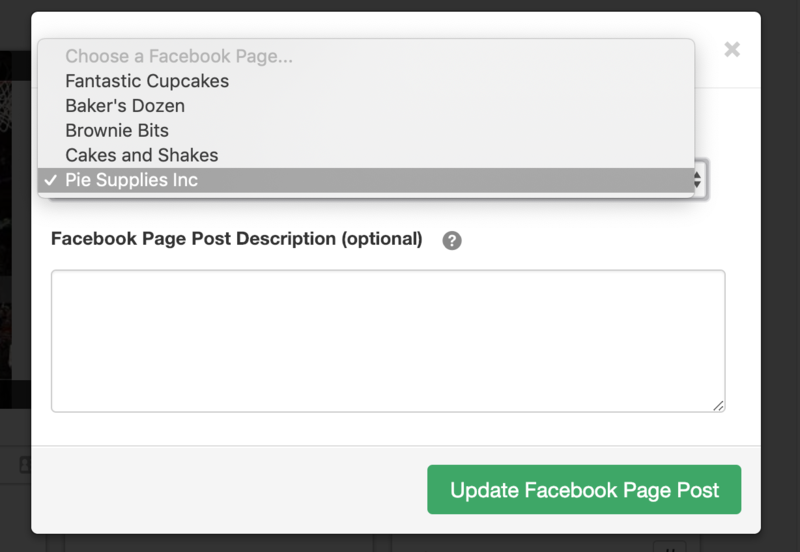 Choose the Facebook page you would like to publish to and enter an optional Facebook Page Post description. Helpful Tip: Your Instagram caption will not be included in your Facebook Page Post, so if you want to include any text on Facebook, please include it here. 4. Click “Update Facebook Page Post” and schedule as normal! If you'd like to modify your post description or change the Facebook Page to publish to, just click the pencil icon to the right of the Facebook Page name.